For a few brief weeks in early 2017, it appeared Martin Schulz was set to make one of the most dramatic political career trajectories in recent EU history - from president of the European Parliament to German chancellor, and de facto the most powerful leader on the continent. But it wasn't to be. 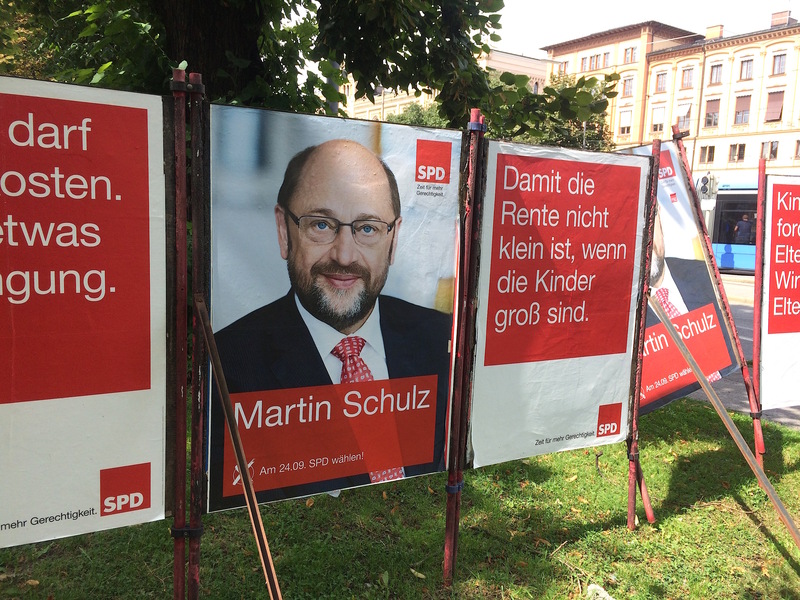 After a few weeks on the campaign trail for his Social Democratic Party (SPD), the 'Schulz Effect' turned out to be the 'Schulz Bubble'. 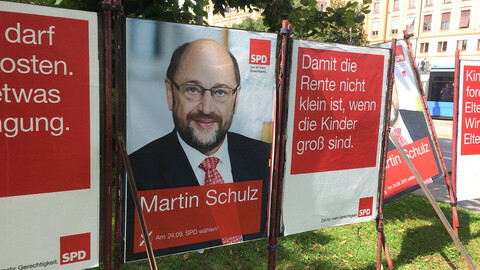 That bubble duly burst, and by the end of 2017, Schulz had taken his party to their worst result in 70 years. It was a bitter comedown for the man who only a few years previously was accepting the Nobel Peace Prize on behalf of the EU, and had his eyes set on ending 12 years of centre-right CDU rule in his native Germany. Schulz battled on as party leader of the SPD, and - in a bizarre twist - may now find himself in 2018 returning to the centre-stage as German foreign minister, or one of the other senior posts in Angela Merkel's cabinet in another 'Grand Coalition'. That is because of the dramatic and unexpected collapse, in November, of the so-called 'Jamaica' coalition being negotiated between the victorious CDU of Merkel, and its sister Christian Social Union party from Bavaria, the Greens, and the liberal pro-market FDP. Despite an earlier pledge that his SPD would be returning to opposition to lick its wounds, Schulz will now begin formal talks in early January with the woman who defeated him in September, and if coalition negotiations are successful, will take the foreign ministry or one of the other top jobs in Berlin in early 2018. A remarkable return - but how did 2017 go so badly wrong? 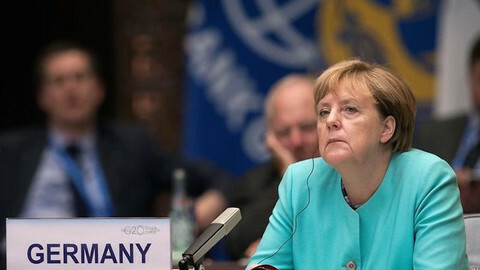 "He may have been good in Brussels, but the decision to move back [to German politics] just proved a big flop," says Hans Kundnani, senior fellow at the German Marshall Fund of the United States, a Washington-based think tank. "It's the worst SPD result since World War II. 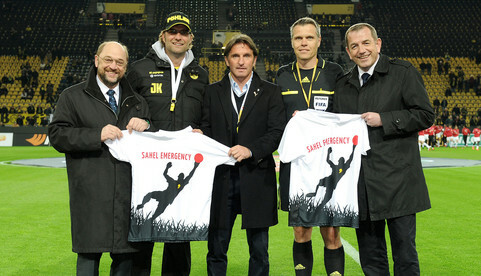 There was this hope Schulz would turn things around. To then get not just as bad a result as Frank-Walter Steinmeier [SPD candidate in 2009] or Peer Steinbrueck [in 2013], but worst since the war is pretty devastating," said Kundnani. "He's hung on, but I think he's become a bit of a lame duck. My conviction … is the SPD needs to move to the 'left' and offer real alternatives to Merkel on economic policy and on Europe - the two are very closely related." 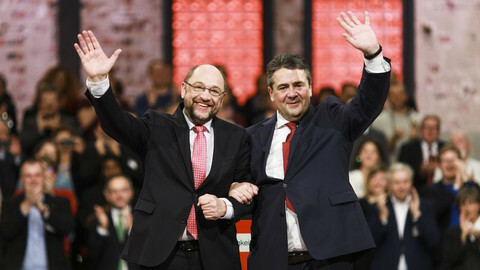 "In the beginning of the campaign, with his first speech, Schulz seemed to promise to do that, when he laid into former SPD chancellor Gerhard Schroeder [over his cuts to social welfare] and seemed to offer a real alternative to Merkel. Then he backed off from really fleshing that out … and then the bubble burst." The 'bubble' refers to the period in early 2017 when Schulz first left Brussels for Germany and saw his SPD shoot up some 10 percent almost overnight in the opinion polls, from the low 20 percent range to around 33 percent - within touching distance of Merkel's CDU/CSU alliance. Come election time, the SPD ended up with just over 20 percent of the popular vote, and lost 40 seats, whilst the rest of Europe watched the far-right Alternative for Germany (AfD) party enter the Bundestag on their first attempt, with 94 MPs - only 69 seats behind the SPD. Kundnani, author of The Paradox of German Power, argues that the AfD success - which reverberated around an EU still trying to deal with the migration crisis - could even be good for German democracy. "We knew, after the Schulz bubble burst, that Merkel was going to be the chancellor, and the consensus among the four parties that could be in government [the CDU/CSU, the SPD, the Greens, and the FPD] is so great, that nothing is going to really change. "In that sense the AfD's entry into parliament is a 'good' thing for democracy," he told EUobserver. "The AfD are interesting, not necessarily in a positive way, but for example the leader is lesbian with a Sri Lankan partner. The CDU and others were treating it as a neo-Nazi party from the start, and that was a mistake. They need to differentiate," he noted. "The argument sometimes heard in Germany, that the AfD is 'anti-democratic' is too simplistic. We need to be precise. They are a bit of an 'illiberal democratic' party, a bit like Trump, a bit like other parts of the EU." But actually forming the expected 'Jamaica' coalition (of the 'black' CDU/CSU, the Greens and the 'yellow' FDP) did not prove as straightforward as most commentators had predicted, with talks collapsing on 20 November. 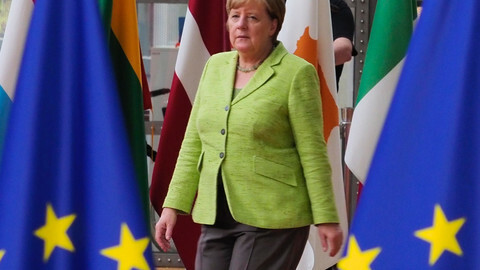 Perhaps for Schulz, attempting to beat Merkel outright in the September election was always a kamikaze political mission - after 12 years in the job, Merkel has dealt with four French presidents, three US presidents, four British prime ministers, and overseen the euro crisis and the 2015 migration shock, which saw some 1.5 million asylum seekers flood into Germany. 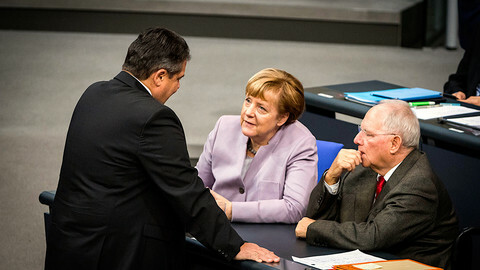 Despite this, the 63-year old CDU leader still enjoys personal popularity ratings above 60 percent, with the German left grudgingly admiring her stance on refugees, and the country's strong environmental base pleased by her decision to end nuclear power - stealing the main policy of the Green party's success since they entered the Bundestag in the early 1980s. 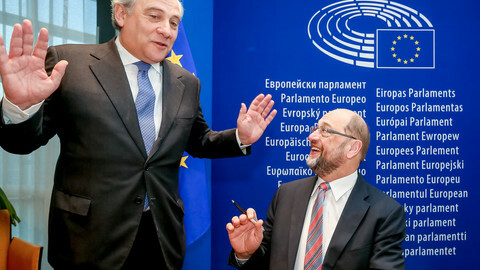 Meanwhile, the European Parliament - which most observers, whatever their other criticisms, agree that Schulz did a good job raising the profile of during his 2012-2017 tenure - is now led by the much less high-profile figure of Italy's Antonio Tajani, of the same European People's Party grouping as Merkel - something of a double victory for the woman back in the chancellery in Berlin. For Schulz, hopeful and then humiliated at the ballot box in September, his political career resembles nothing less than a (badly-burnt) phoenix arising from the ashes. 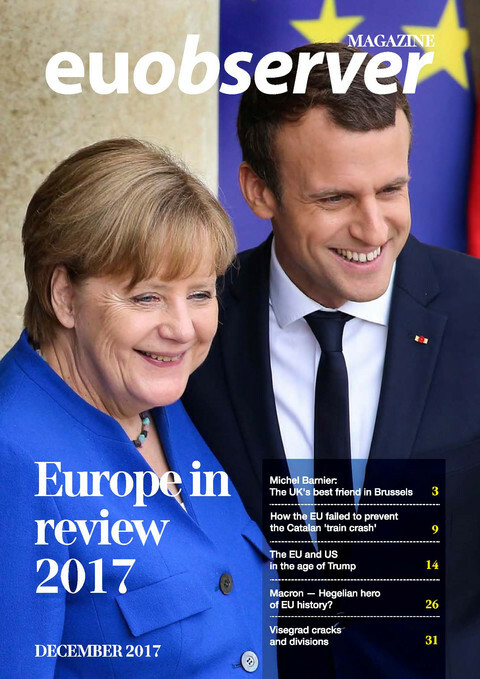 Look back at the events that shaped Europe and what's to come in 2018 in EUobserver's 2017 Europe in Review Magazine. Merkel has “lost touch” with ordinary people, does not know how to handle Dieselgate, and is too soft on Turkey, her main election rival has said. Christian-democrat leader set to rule Germany together with liberals and greens, but with a new troublemaker - the AfD party - on the scene.